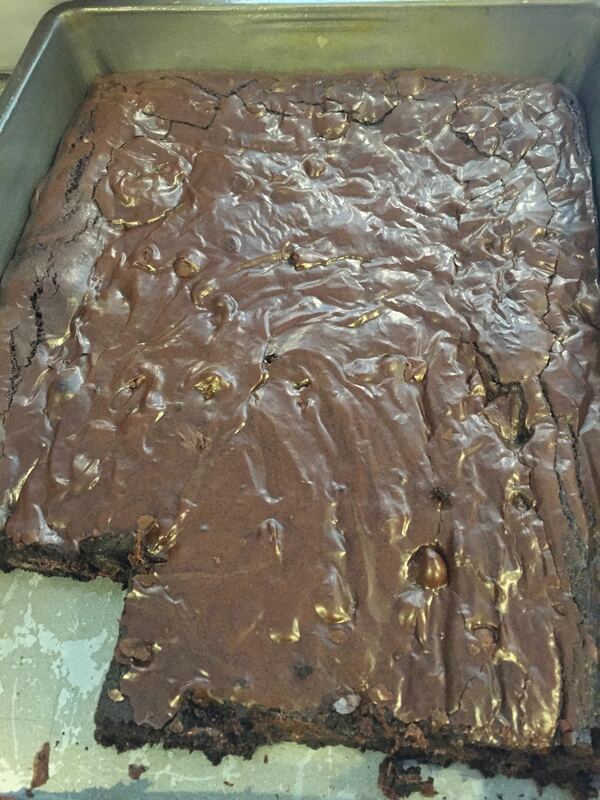 Normally, because I am in a hurry, I use the Ghiradelli brownie mix (available at Costco). It’s an excellent mix, without the chemical aftertaste that you have in so many other brownie mixes. And I don’t generally believe the incremental improvement in taste in homemade brownies is worth the added time. This brownie recipe, however, is an exception to that rule. These brownies are dark, chocolatey goodness. Left to me, I would add a cup of pecans to the recipe as well, but my children are strenuously opposed to nuts in their brownies. And, like most brownie recipes, it’s a pretty straightforward process.